Once again, the news is awash with anti-gun stories, the Internet is buzzing about gun ownership and the right to carry, and the stupid has been turned up to 11. I am absolutely exhausted from being unfairly attacked by the media and others who blindly follow the disinformation and smear campaigns against law-abiding gun owners. It’s disheartening and extremely irritating to see so many myths, hyperbole and out-and-out lies being spread by people that are willfully ignorant and incredibly misinformed about making the choice to carry a firearm. You’re not alone if you feel like you’re talking to a brick wall when it comes to getting the average person to stop and simply listen to the facts about gun owners. I’ve been carrying on an almost daily basis for a couple of years now. Making the decision to carry required a significant amount of thought, and I know I’m not alone in the anxiety and hesitation I experienced when I went through the process of deciding to carry. Despite my experience throwing thousands of bullets down range during practice and competition, I wasn’t sure if I was ready to make the leap. Those of us that choose to carry go through a complex mental process and many of us seek out specialized training before we feel we’re ready to make this very serious decision. From how the media tells it, we’ve all just run out to the gun store, grabbed the first gun we saw and threw it in our pocket. Gun owners are well informed and we know that this couldn’t be further from the truth. Carrying has almost nothing to do with fear and everything to do with being prepared. “Hope for the Best. Expect The Worst” is a commonplace phrase that applies to every other facet of life. We praise and reward people who plan ahead and show up prepared, why would carrying a firearm be excluded? No one puts their seat belt on because they’re afraid to get in a car crash. We do it because while having an accident is unlikely, it’s within the realm of possibilities every time you get behind the wheel, and it’s better to be safe than sorry. You don't buy life or health insurance because you're morbidly afraid of death, you do it to protect yourself and your family. Choosing to carry a firearm is no different. I am not a criminal, and if you’re one of the millions of law-abiding citizens that carry, statistics show that neither are you. 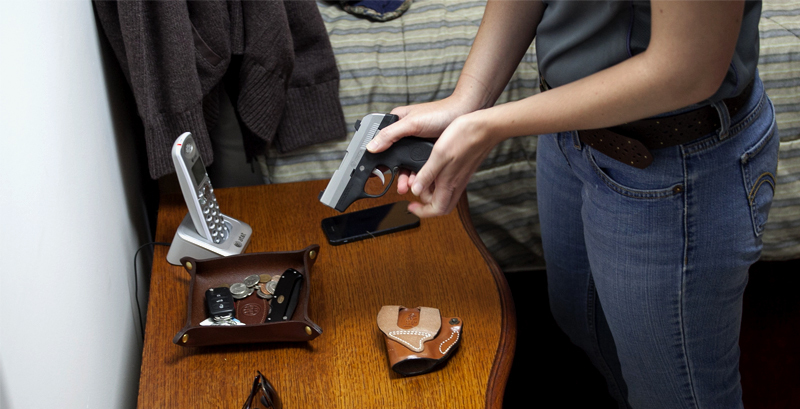 Concealed carry holders commit crimes at FAR LOWER rates than the average population. The data on this is easily accessible to anyone, so if you don’t believe me, just do a quick search for “concealed carry holder crime rates”. I’ll wait, but be prepared to hear “I told you so." I don’t mean to burst your self-importance bubble, but I carry to protect me, not you. My fellow gun owners and I are not interested in defending you for the sole purpose of getting some positive press coverage and a few high fives. If you look at the one of the many stories of people successfully using firearms to defend themself and others, nowhere will you find the quote “I did it to be a Hero." These brave people chose to get involved because they saw an opportunity to stop the bad guy and because it was the right thing to do. If, in the history of the world, no person had ever laid a hand on another human being to do them harm, then yes, making the choice to carry would seem extremely odd and unnecessary. Since those of us that choose to carry live our lives in the real world, we know that bad guys have existed since the beginning of time and we are aware of the atrocities they are capable of (even if it’s difficult to comprehend). If you step back and take a look at recent events objectively, the delusion becomes the argument that nothing bad will ever happen and there’s no reason to better prepare yourself for that “just in case” moment. I don't think anyone would argue that the mere act of carrying a firearm is some kind of magical force field. I do know that my chances while I'm carrying are a lot better than if I'm not. Unless the bad guys are going to have the courtesy of broadcasting which store, school or parking lot he's going to be in each day, there’s no way to know when you will or won’t need your firearm. I understand that I may be preaching to the choir, so if you are reading this and you agree that those who carry firearms get a bad rap and need the record set straight, please share this with your non-gun owner friends and family so we can begin the long and often difficult process of re-normalizing gun owners. The media is clearly not on our side, and that makes it even more important to get the facts out to those who don’t understand or have been misinformed about people who choose to carry firearms.